Welcome to the Islands... Depaulas has assembled a magnificent collection of the most unique and beautiful nautical jewelry that would make Poseidon blush. The collection we have online has been created to please the island connoisseur. We have unique pendants, earrings and bracelet, from extremely specific species like the spotted eagle ray and hammerhead shark, to the more popular like dolphin and blue marlin. Venture into dolphins and turtles if you are looking for some of the best dolphin and turtle jewelry that you will ever see. If your interests are more of sunbathing and hanging out at a tropical beach then check out our coastal collection. If you love to dive and swim or just enjoy the creatures of the deep check out our amazing sea life collection. If your favorite part of the ocean is casting your line and catching that dream fish then our handsome sportfish collection is ideal. The nautical selection has great boats, anchors, and maritime gear. Our shell collection is perfect for any beachcomber. If you are looking for the most amazing collection of finely crafted and detailed nautical jewelry then you are at the right place. Located in the Florida Keys, the islands off of the southern Florida Coast, we are experts in nautical jewelry. 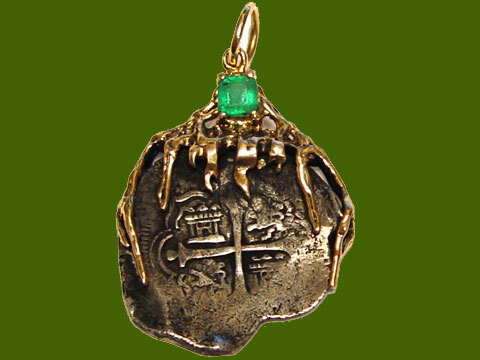 We have been in the nautical jewelry business for nearly 25 years, decades more experience than most nautical sites. We have used those 25 years to assemble an inspiring collection of the best nautical pieces. We offer free shipping on all of our pieces, and a 30-day money back guarantee. We are a member of the Independent Jewelers Organization and Jewelers of America.